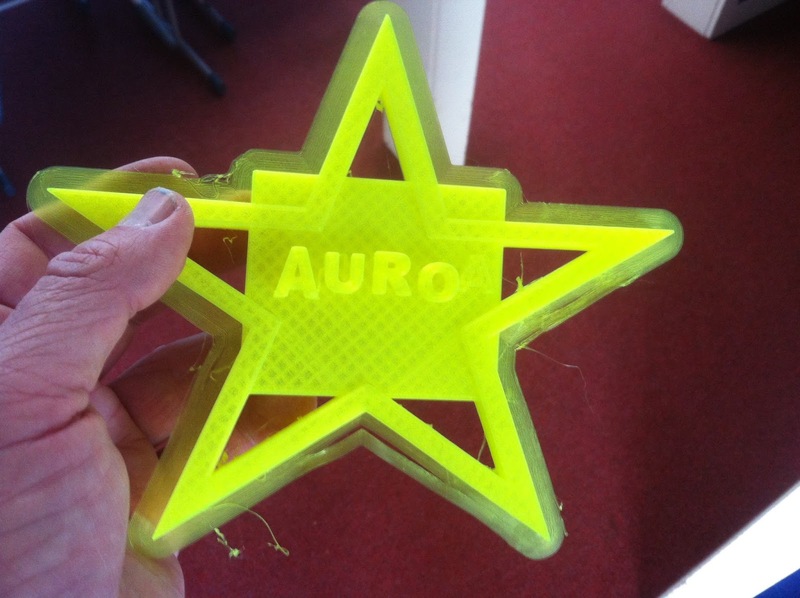 Challenge: 3D Printed Christmas decoration, as mentioned and described in previous posts, a Christmas decoration for a local shop with a theme of the school, thus featuring 'Auroa' instead of the students name. 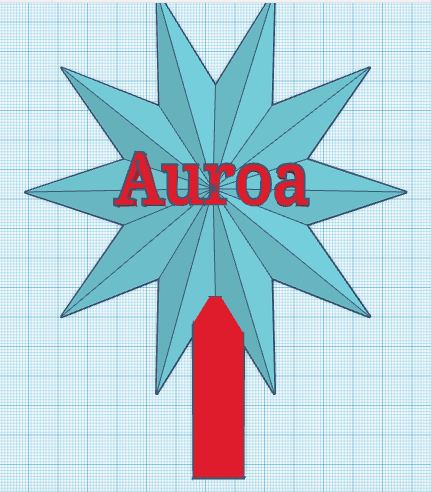 Background: Students were using the updated 'beta' version of Tinkercad which has an expanded basic shapes and significantly improved lettering options (an option to be able to print a series of letters or sentences - instead of previously having to add each letter individually). Task: Using the 'beta' version of Tinkercad to design a print, allowing the students to use the new features, with emphasis on the specific challenge. Level of Difficulty: Easy - while this design potentially looks complex all of the features are in fact part of the new version of Tinkercad and feature from the regular menu. The student designed this in her first attempt in under three minutes, although she had previous experience with using the original Tinker. Student is Year 5 - so turning ten. 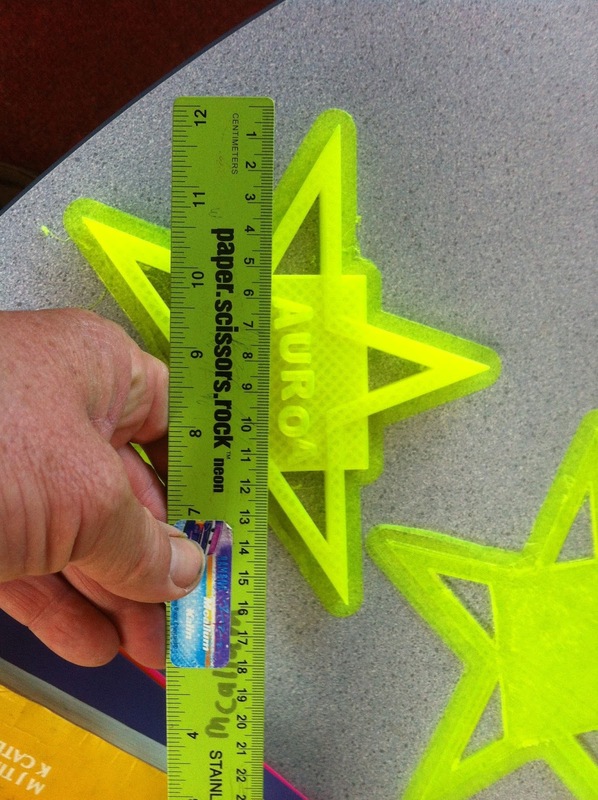 Issues: The student had a thickness of 5mm with the print to ensure that it ran correctly, which is did, this was probably too thin for the base of the star, which cracked when being removed from the plate. 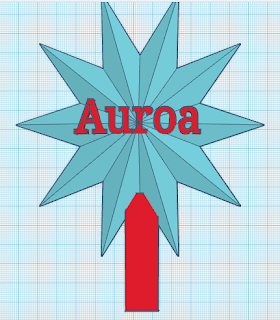 Process: This was significantly contributed by the new 'beta' version of Tinkercad (which is free). The design was completed by basic settings and then saved. This was then loaded into the new version of Cura and then transferred to the printing - Ultimaker 2. Reflection: If someone was to state that 3D Printing was too technical this is an example of something practical that could be completed in a insignificant timeframe that would produce an eye catching positive example of 3D Printing (in addition there was the intention to Glow-In-the-Dark filament the print for further effect).